Cenote Aktun Ha is better known as Car Wash is a fantastic dive just minutes out of Tulum. It was named Cenote Car Wash because Tulum taxi drivers used to wash their vehicles in the cenote, because they could drive right up to the water level. This makes for a very easy entrance into the water for divers. The most popular section of the cavern is the upstream route, since it has large, chestnut-colored columns. The open water area has lots of beautiful vegetation and freshwater fish and as you swim towards the cavern you will see a large fallen tree. The sunlight coming through the roots create an amazing light show when looking back to the open water from the cavern. In the summer, the top meter/3 feet of water is covered by a cloud like algae growth. Once below it, this cloud makes the dive site look very spooky. 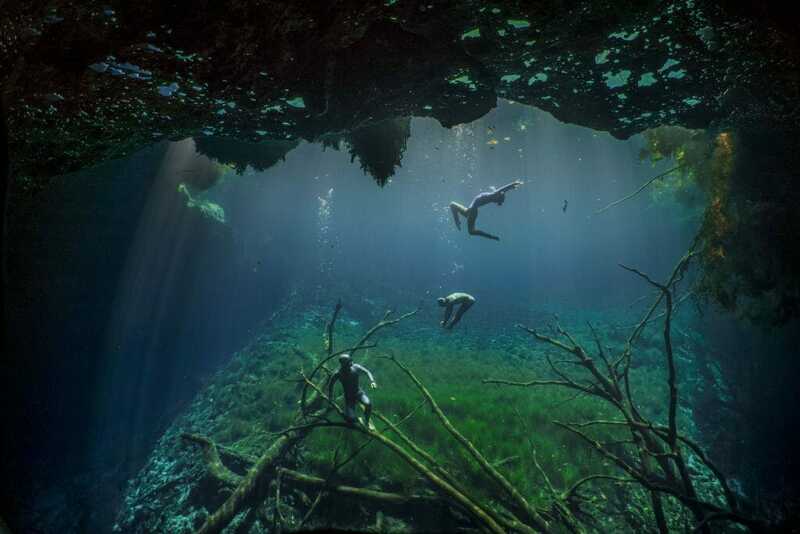 For cave divers, The Room of Tears is accessible from Car Wash, as it is located between Car Wash and Cenote Zazil Ha in Tulum. This room is thought of to be one of the true gems of the underwater cave world. To get to this amazing room, you have to find a secret jump line. It is an exciting and visually rewarding dive but requires divers to get through some restrictions along the way. 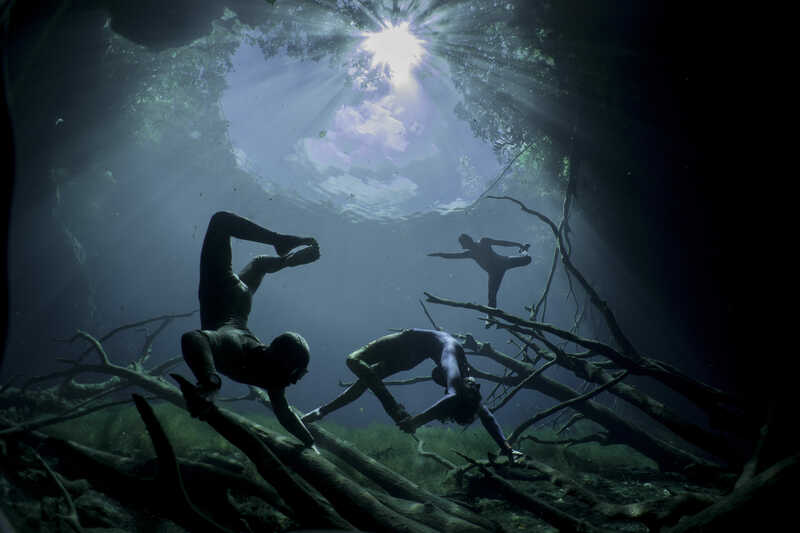 For Freediving, this cenote is a perfect place for pictures. The water temperature, depth, and the vegetation makes the dive site one of the best there is.